About Santa - Santa Gene in Tacoma! We all know that there is but one Santa and the rest are ambassadors for Santa, it is your job to figure out who is who! My mission as Santa is to touch the hearts of all the "children" that I come in contact with, whether they are newborns or 104 years young. 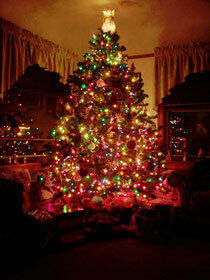 I love Christmas, I love the lights, the decor, the smell of Christmas!! Peoples hearts tend to be a bit more generous and light during the season. Christmas is a time that we allow ourselves to be more child-like. Christmas isn't just about the presents, it's about being together with family and friends, to laugh with them, to eat with them, to sing with them! All those things are good for the soul! I don't see Santa as a commercial persona but as a person that children trust and will talk to because Santa listens to them. I am a member of Norpac Santa's which is the NW chapter of IBRBS. I am a member of Santa America(SA) now. One of the services that SA provides is hospice to children as Santa, anytime of the year. SA provides other service also, to find out more check out their website. In August of 2012 I went to the International University of Santa Claus and have a Bachelor of Santa Claus degree. When I put on the red suit it is life changing, I see children and adults in a new light. Doning the red suit is a big responsability not to be taken lightly!! Santa is available for everyone. Children of all ages are the most important at Christmas. I love to work in the community, the local Fish Foodbank is a favorite. I do this because Santa believes in the magic of Christmas!! While the Santa's workshop is located in Tacoma, Santa is happy to travel to Seattle, Puyallup, Gig Harbor, Lacy, Olympia and beyond. His clients include military Christmas parties, military photo shoots, Children's Museum private Christmas parties, Children's Museum Gingerbread Jamboree, Tacoma Lutheran Home residents Christmas party, Mary Bridge Hospital party, individuals hosting small and large gatherings, private one family celebrations, promotional on-site photography, and more! 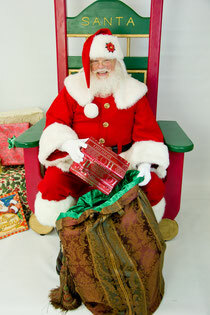 Of course, Santa can sit for pictures, tell stories, hand out presents and lead in singing Christmas carols. I love to sing! I can provide my yearly background check and proof of insurance upon request. I also have 2 different types of chairs for photos that I can bring. See them here!